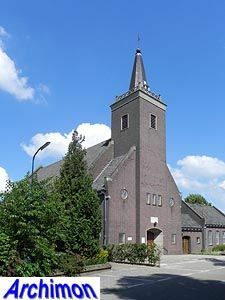 Evert Jan Rothuizen was born on June 12th 1888 in Heelsum (G) as the sixth child (out of a total of eleven) in a protestant (Gereformeerd) family. His father was an architect with his own construction company which, when he retired in 1916, was continued by two of his sons. Like his brothers, Evert Jan was educated in construction. Ater completing the school of crafts he took courses to become a draughtsman and an overseer and eventually became an architect. In 1912 he settled as an architect in Arnhem, as well as founding a correspondence school for technical courses. Shortly thereafter both school and architect's office were joined by F. Wind, an engineer and an architect and one of Rothuizen's former teachers. The school was renamed PBNA and still exists. The architect's office employed several engineers of various technical specialities and was renamed BUVANI ('Bureau van Architecten en Ingenieurs' : bureau of architects and engineers) in 1933. Beginning in 1912, Rothuizen wrote several books about various aspects of architecture and construction, including a pamphlet (1918) about his ideas about symbolism in the church architecture of his denomination, or rather the lack of it. Despite his obvious interest in the matter, Rothuizen designed relatively few churches. His first church, apart from a few assignments for enlargements, was probably the Westerkerk in Hengelo. After this centralizing church he would mainly design aisleless churches as well as a couple of basilica's. His first few churches are in an Expressionist style which later was replaced by Traditionalism. His other works include houses, mansions, schools and hospitals. One of Evert Jan's older brothers, F.G.C. 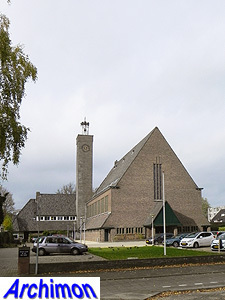 Rothuizen (1881-1954) worked as an architect in the province of Zeeland. In 1939 E.J. Rothuizen had his surname (which could be associated with 'rotten houses') officially changed to Rotshuizen ('rock houses') and unsuccessfully tried to convince his relatives to do the same. After World War Two he worked with an architect C. Dekker. In 1951 he retired from architecture and left the office to his son Jan (1917-2007) to concentrate on his work for PBNA. He died in Arnhem on September 1st 1979. 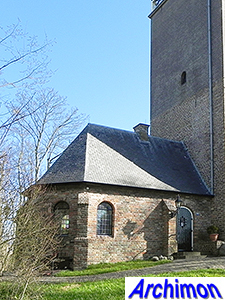 The following is a list of Rot(s)huizen's churches only. It is probably incomplete. No further details. Probably addition of transept. Cruciform centralizing church in Expressionist style. Demolished in 1986. Big basilica in Expressionist style, with tower at the back. Now housing. Small aisleless church in Traditionalist style. Demolished ca. 2000. 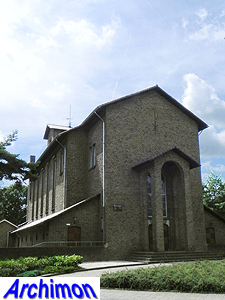 T-shaped aisleless church in Traditionalist style. Aisleless church in Traditionalist style, with tower at the front. Basilica in Traditionalist style, with tower at the back. Now named Beatrixkerk. Internal enlargement as well as the addition of a vestry in front of the tower. Aisleless church in Traditionalist style, with tower at the back. Aisleless church in Traditionalist style, with tower.